After battling with cancer for more than three years, Chad Brown has sadly passed away. 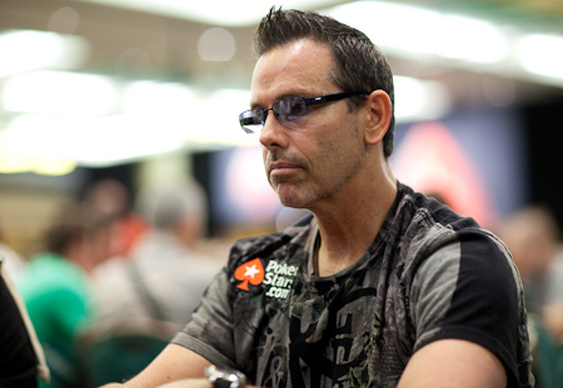 The American poker pro has been described by everyone that knew him as a gentleman and someone who represented poker in a positive light both on and off the felt. Despite never winning a WSOP bracelet (he came agonisingly close on three occasions) the organisers of the festival decided to honour him last weekend with a special bracelet which he proudly wore just hours before his passing. In total Chad earned more than $3.6 million in his live poker career and was the long-time partner of fellow poker pro, Vanessa Rousso. Also known as an actor in his younger days, Chad quickly became one of the game's leading personalities. However, back in 2011 Chad was diagnosed with a rare form of cancer known as iposarcoma and was forced to have a 10lb tumour removed from his stomach. Despite undergoing intensive treatment for his condition he remained upbeat and made appearance on the live circuit as much as he could. Indeed, in amongst describing his illness as "running bad", he managed to earn his last cash in January 2014 at the Borgata Winter Poker Open. Eventually the cancer became too aggressive and while under the care of staff at a New York hospice he finally slipped away late last night. Unfortunately @Downtownchad has passed this evening. He touched so many during his lifetime and will live on within them. I love you Chad!